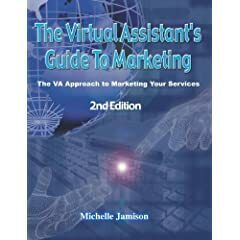 Virtual Assistant - The Series: Become a Highly Successful, Sought VA stands alone as the leader in books on starting a virtual assistant business. WANTED: well organised, computer savvy home-workers to help busy professionals and entrepreneurs get more done. Work where you want, when you want and set your own salary as a successful Virtual Assistant. This is not an idle read, but an interactive tool which enables the reader to produce a detailed marketing plan as well as effective marketing materials. 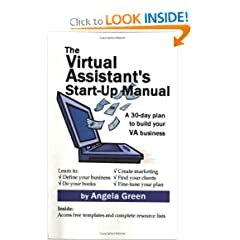 If you are a parent who would like to earn money while staying at home with your children, or you would like the freedom of owning your own business, then a career as a Virtual Assistant is for you. 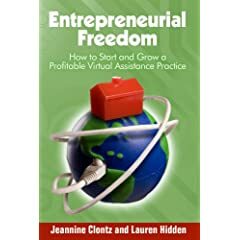 How to Start and Grow a Profitable Virtual Assistance Practice. The definitive "how to" for anyone looking to start or grow a small or home-based business. 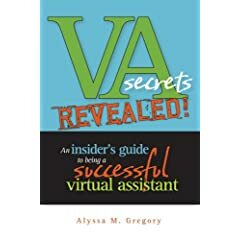 An Insider's Guide to Being a Successful Virtual Assistant If you're an executive assistant with an entrepreneurial spirit, a small business owner looking for a change, or have just dreamed of running a business from home, this book is for you! What Telecommuters and Entrepreneurs Need to Succeed in Today's Nontraditional Workplace. A step-by-step guide to setting up a home office or a virtual office.